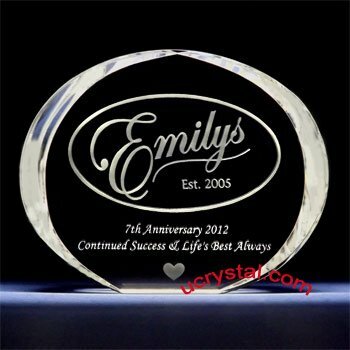 Half Dome crystal plaque engraved - XL. 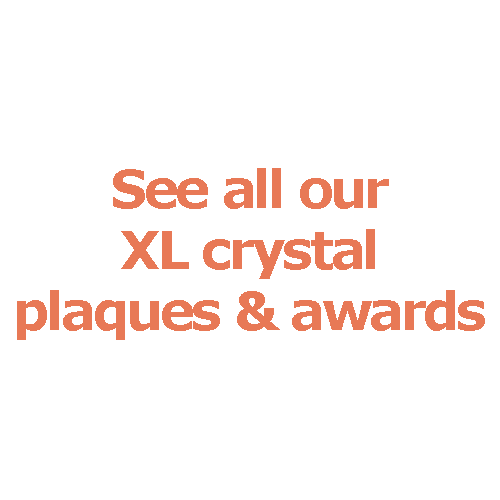 The Half Dome laser crystal plaque award has beveled edges. The whole piece is stylish, yet venerable. 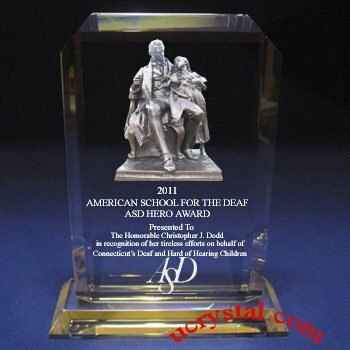 The crystal award is simple in design, yet delivers elegance for custom crystal awards. 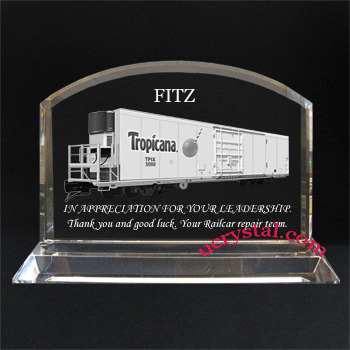 This corporate recognition crystal plaque includes a large engraving space for messages, company logos, and/or employee photos. 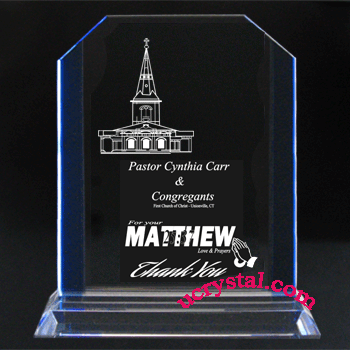 The engraved crystal plaque delivers a powerful message of recognition, appreciation, and encouragement. 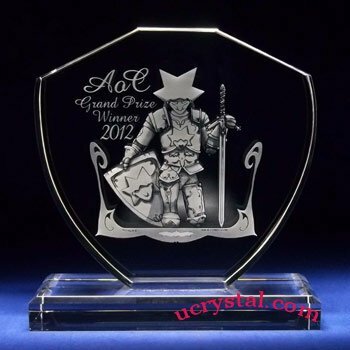 All engraving and layout design is included at no extra charge. 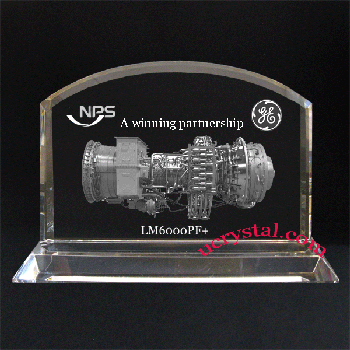 The examples shown include the leadership appreciation gift ordered from Tropicana and a crystal plaque that celebrates a successful collaboration between NPS and GE. 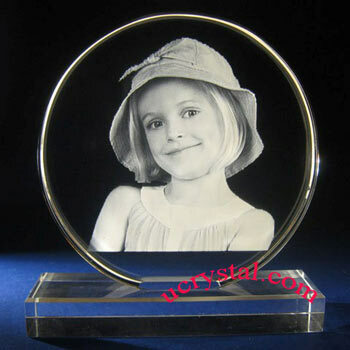 Hence the Half-Dome crystal plaques are well-received by corporations and organization for recognizing executives and employees. 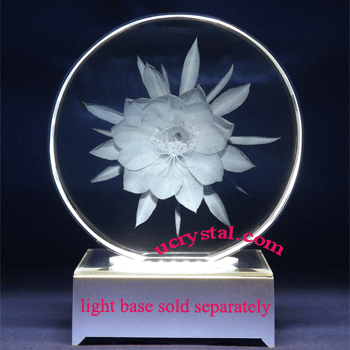 The Half Dome laser crystal plate has beveled edges and is firmly attached to a crystal base. Size: 7” width x 5-3/4” height x 3/4” thickness (height includes base). The whole piece, made of the same material, is stylish, yet venerable. 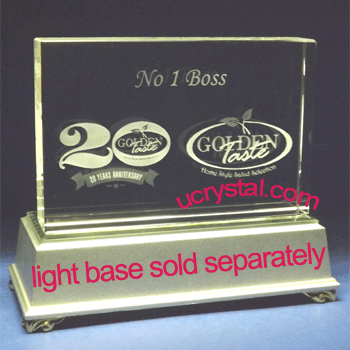 It is well-received by corporations and organization for recognizing executives, employees and customers.